Crayola makes a wide array of creative art toys and art tool makers. 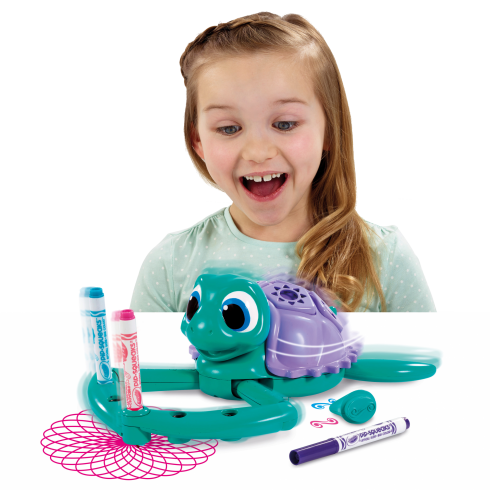 Check out the Crayola Twirl ‘n’ Whirl Turtle for a fun creative way to make your own circle designs. 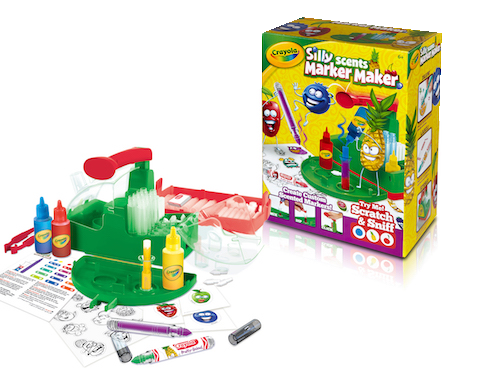 Create your own silly scented markers with the Silly Scents Marker Maker! Crayola art toys and activities are all designed to stimulate the creative spirit in kids of all ages! Crayola Twirl ‘n’ Whirl Turtle, helps you create amazing drawings for you to colour in and keep! 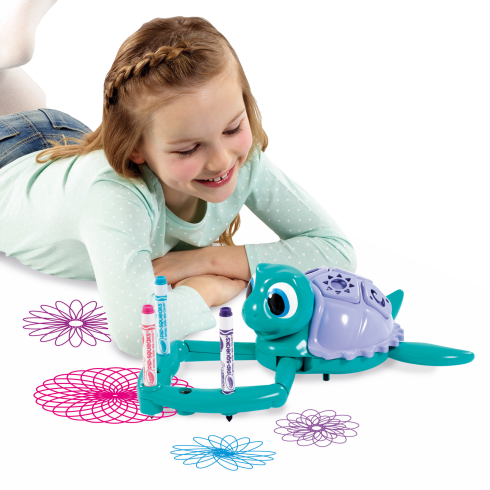 Choose a pen, select a pattern and get Twirl ‘n’ Whirl Turtle drawing! You can use up to 5 pens at once to create fantastic multi-coloured designs! 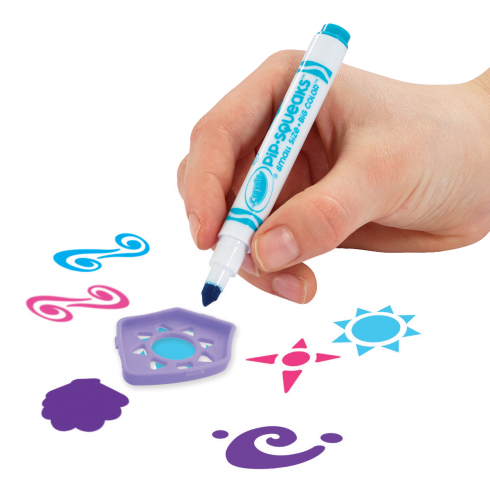 Why not decorate your drawing with Twirl ‘n’ Whirl Turtles stamper and stencil shell and the 3 pens included. Insert the pen in to the hole on the arm until you hear a ‘click’. Then select your pattern on the dial underneath, press the button on the back of the shell and off he goes! Watch your Twirl ‘n’ Whirl Turtle create millions of patterns! Use the hidden shell stencils to add extra patterns to your drawings. Unclip turn them over and stencil away! When you’re done just clip them back into the turtles shell to keep them safe for next time! Pull out the tail to use the hidden stamper. Choose you’re colour to colour on the stamper and stamp away! 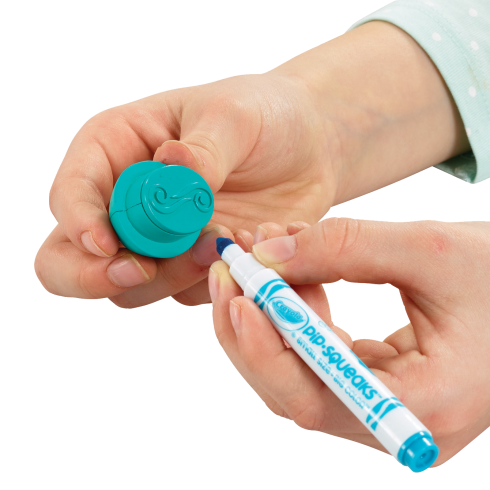 Create sweet and smelly scent-sational markers with the Silly Scents Marker Maker.